FCONRR is what I would call a calendar year “in and out” function. Forecasting EROI using a model year approach gives artificially favorable indications. FCONRR calculations line up fairly well with many fossil fuel EROI calculations, but not with the usual model approach used for capital devices used to generate electricity. I would describe FCONRR as corresponding to “Point of Use (POU) EROI,” not Wellhead EROI. 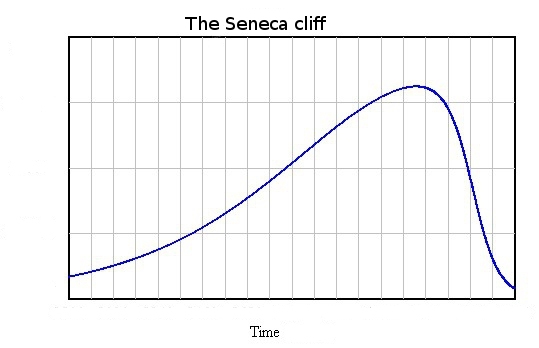 If a newly built device causes a previously built capital device to be closed down before the end of its useful lifetime (for example, solar output leads to distorted electricity prices, which in turn leads to unprofitable nuclear), this has an adverse impact on FCONRR. Thus, intermittent renewables need to be evaluated on a very broad basis. In the model, FCONRR starts at 5% and gradually increases to 10%. This is equivalent to overall average calendar year POU EROI starting at 20:1 and falling to 10:1. The model shows the world economy growing nicely, when total FCONRR is 5%. It gradually slows, as FCONRR increases to 10%. Once overall FCONRR exceeds 10%, the model shows the world economy contracting. I was struck by the fact that FCONRR equaling 10% corresponds to the ratio that Charlie Hall describes as the share of energy that a fish can afford to use to gather its food. Once a fish starts using more than 10% of its energy for gathering food, it is all downhill from there. The fish cannot live very long, without enough energy to support the rest of it functions. 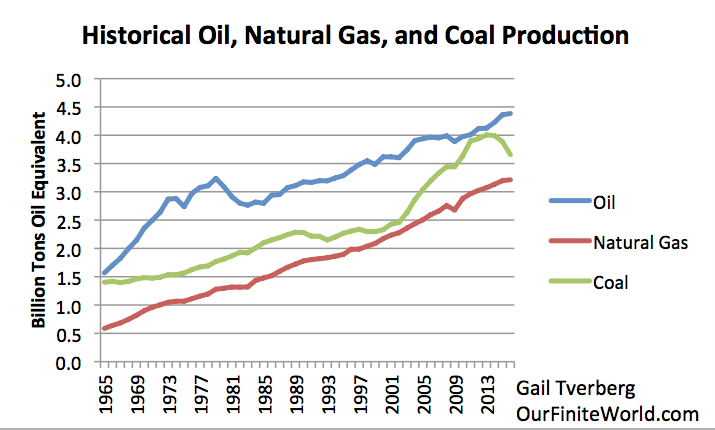 Similarly, an economy cannot last very long, without enough energy to support its other functions. In the model, necessary resources out depend on the population. The higher the population, the more resources out are needed. It is falling resources per capita that causes the system to collapse. This is why FCONRR needs to stay strictly below 10% and energy consumption must be ramped up rapidly. This would suggest that average POU EROI needs to stay strictly above 10:1, to keep the system away from collapse. If there are not enough resources out in total, for a given calendar year, this becomes a huge problem. The way this works out in practice is that if a device uses a lot of upfront capital, these devices can sort of work out OK, if (a) only a few are built each year, (b) they have very high EROI, and (c) they last a long time. Thus, hydro and dams can work. But devices with an EROI close to 10:1 cannot work, especially if they need to be scaled up quickly and need a lot of supporting infrastructure. Clearly, using the FCONRR approach, eliminating a high EROI fuel is as detrimental to the system as adding a low EROI device with a lot of upfront capital spending required. It is the overall output compared to population that is important. 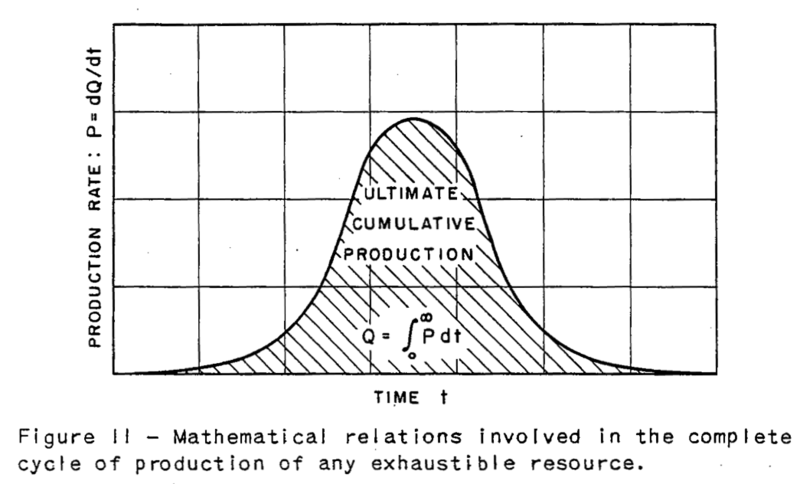 The quantity of output is even more important than the EROI ratio.